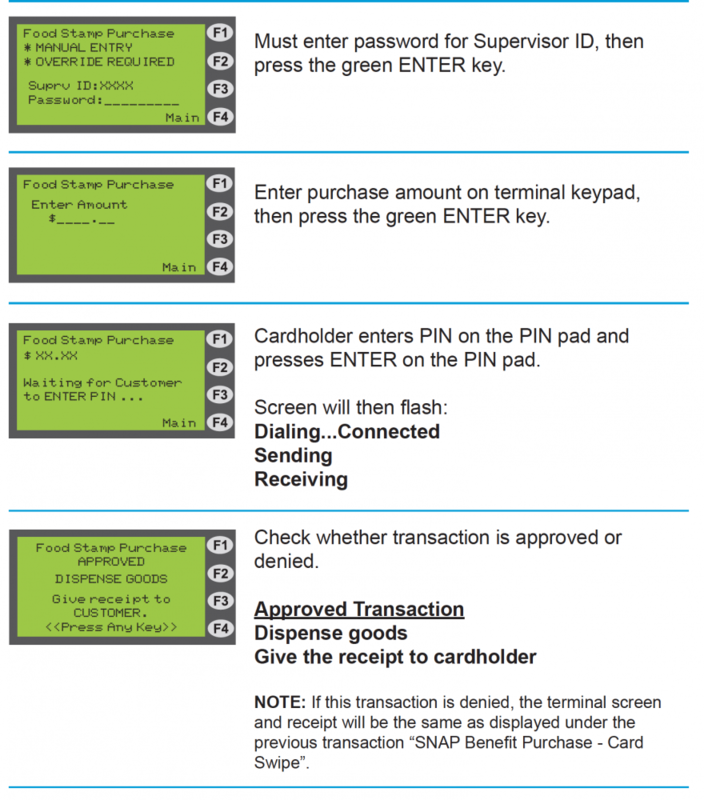 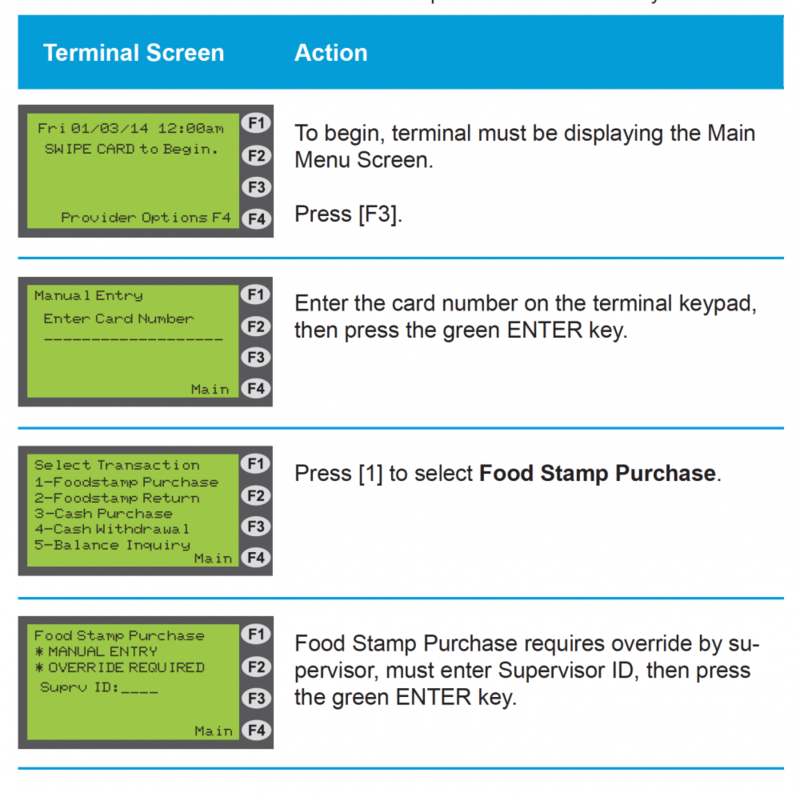 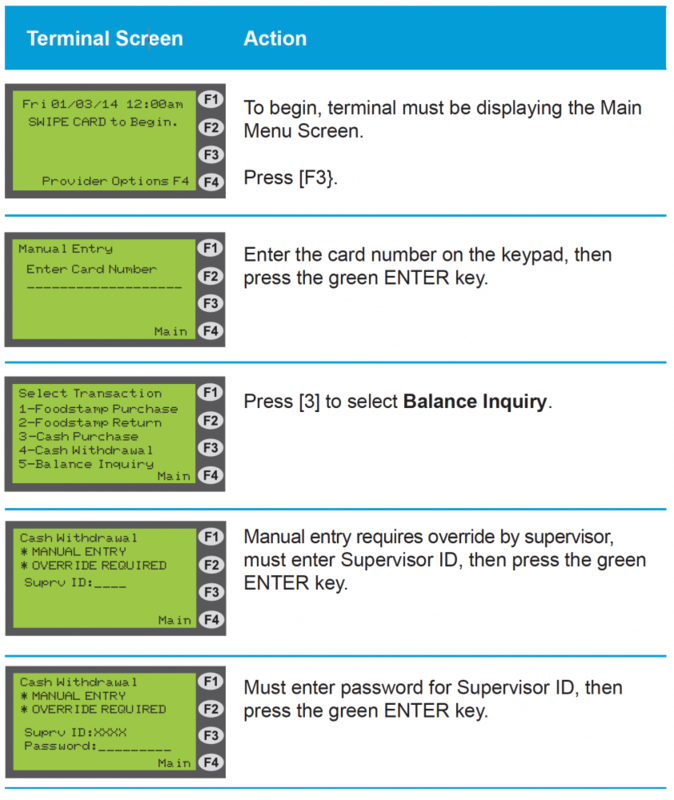 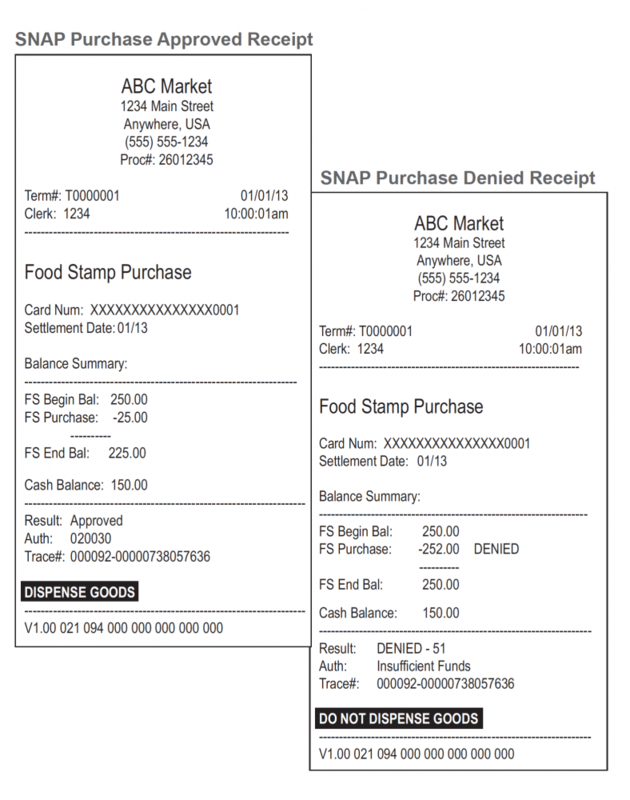 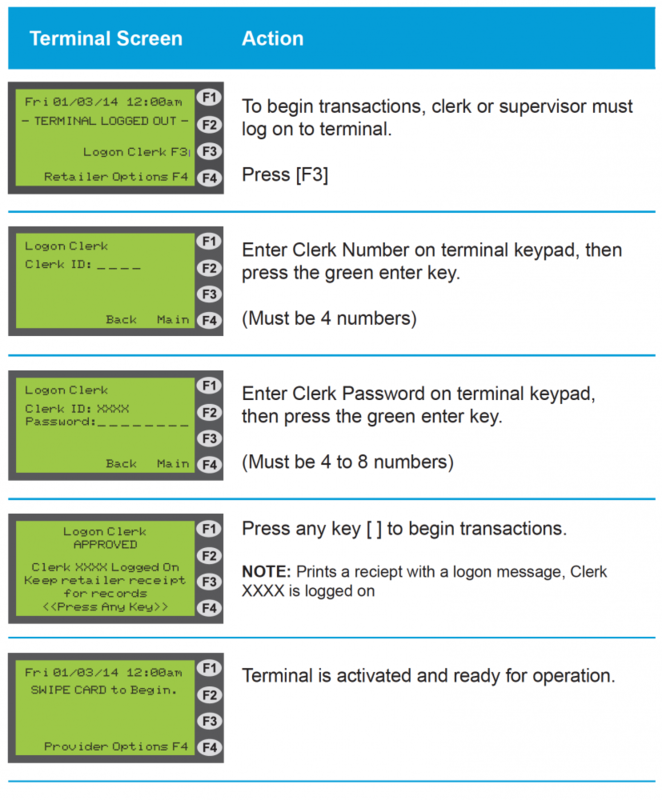 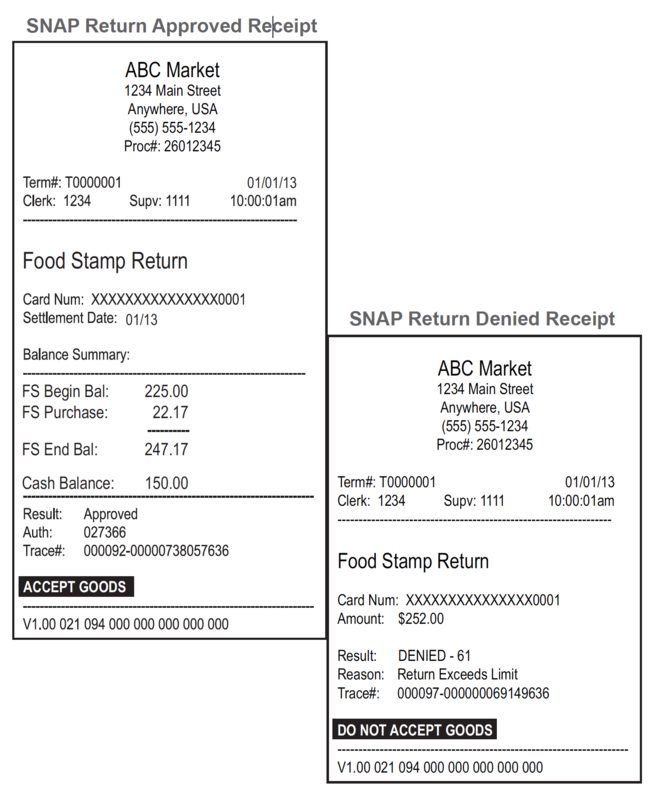 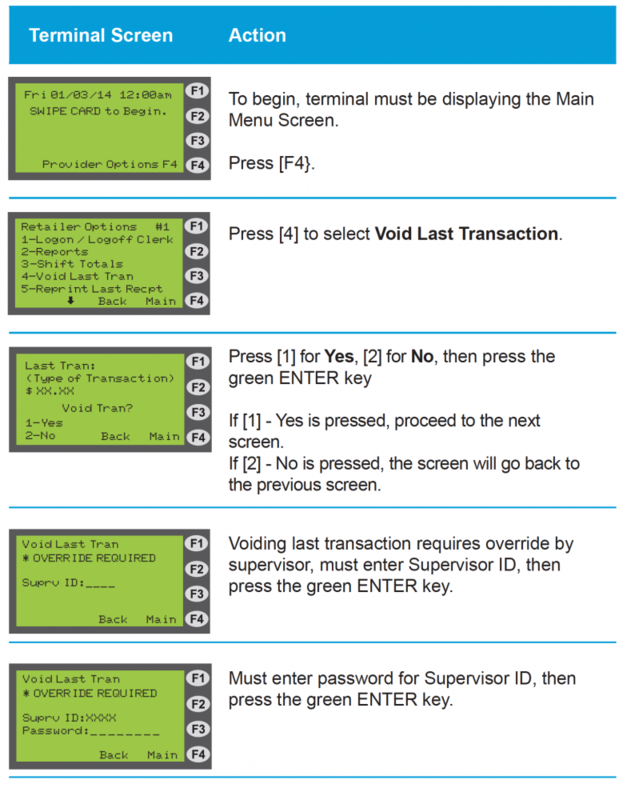 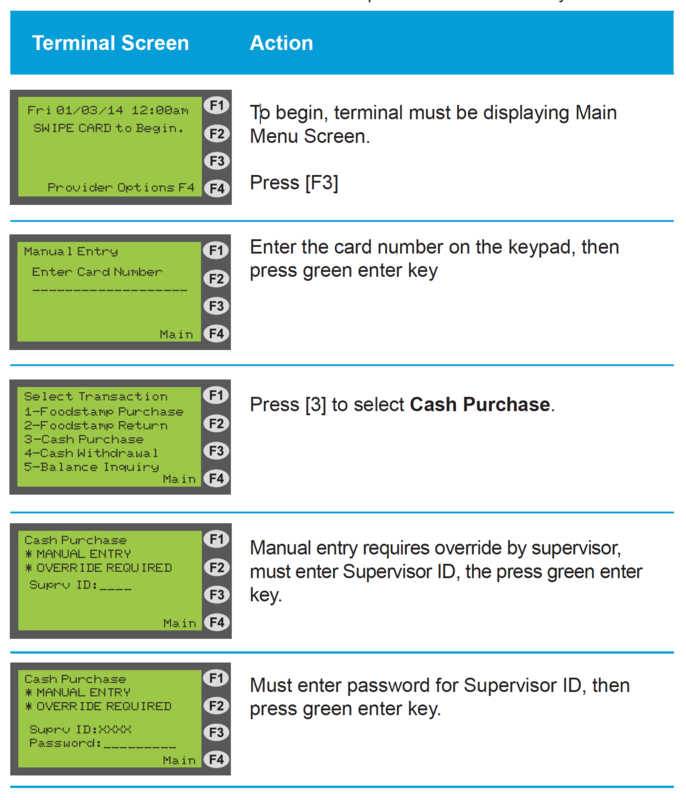 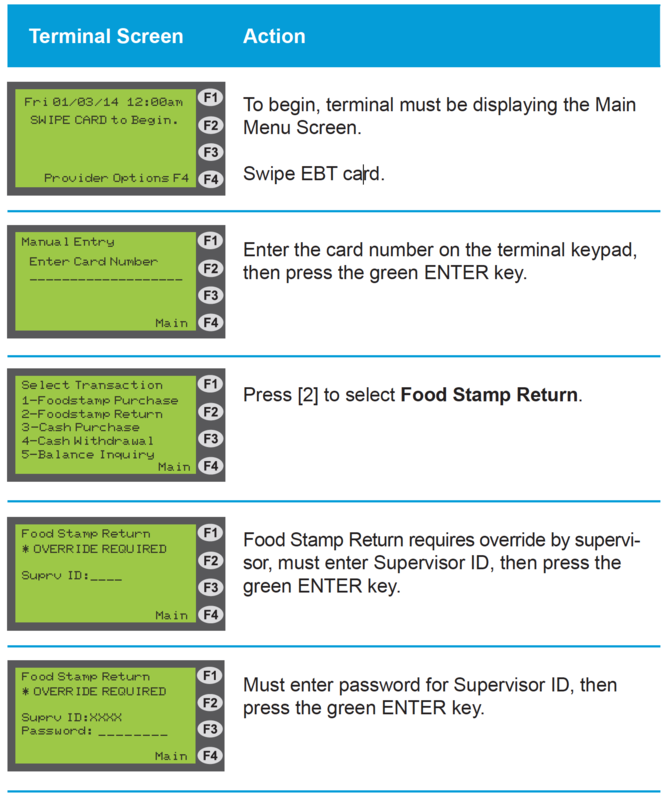 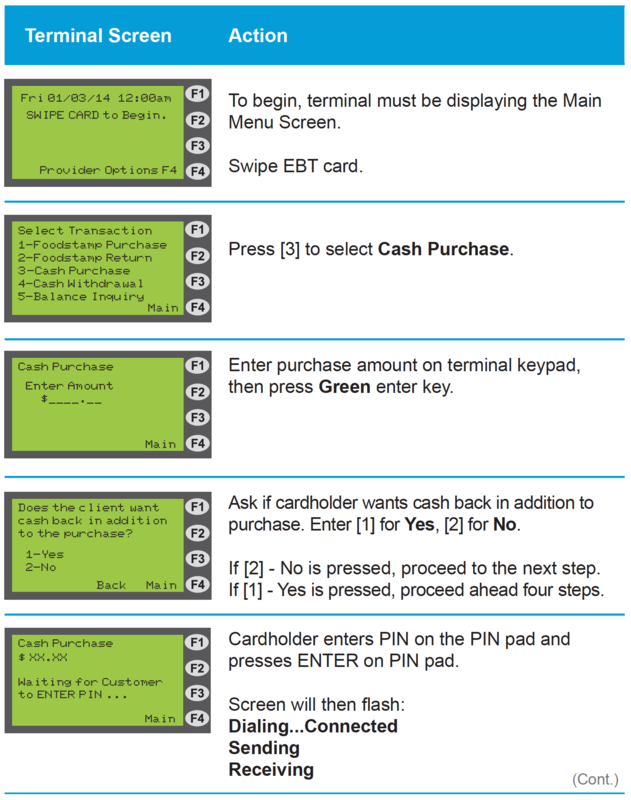 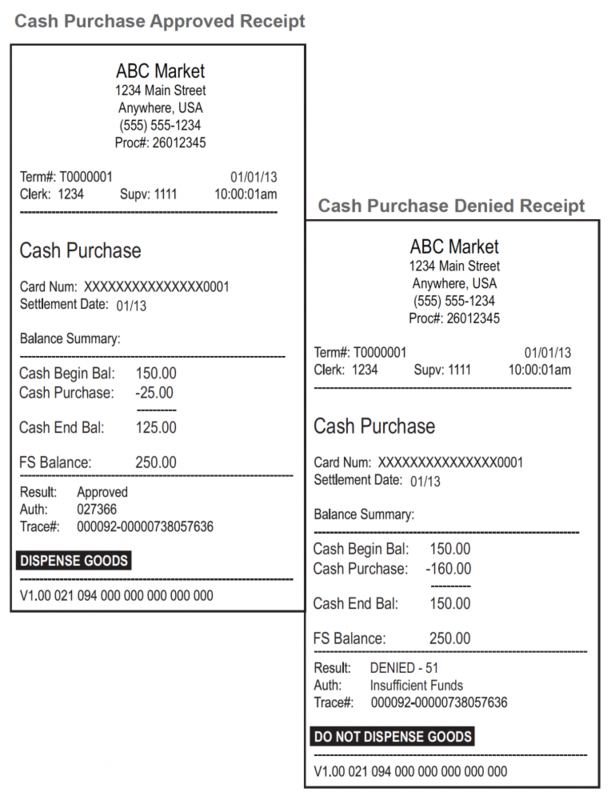 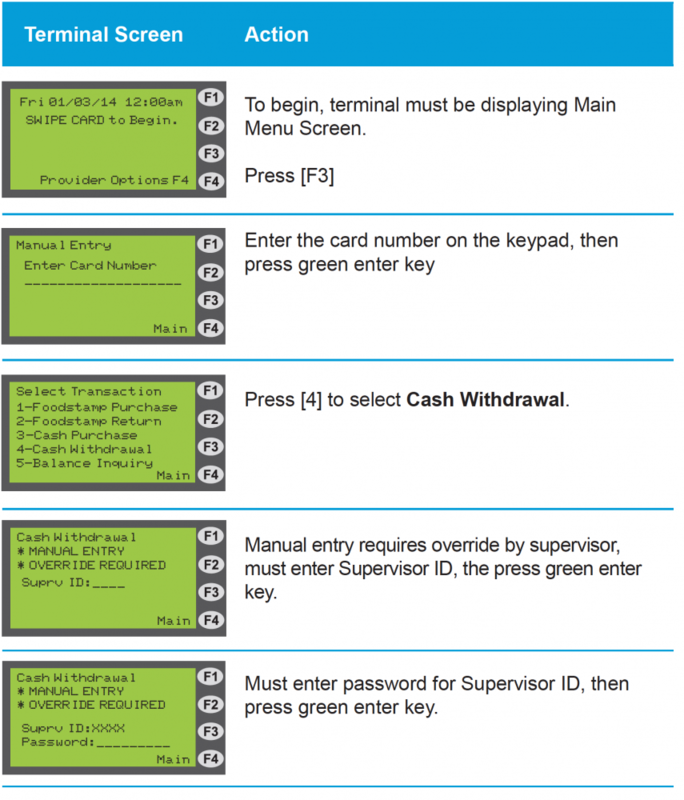 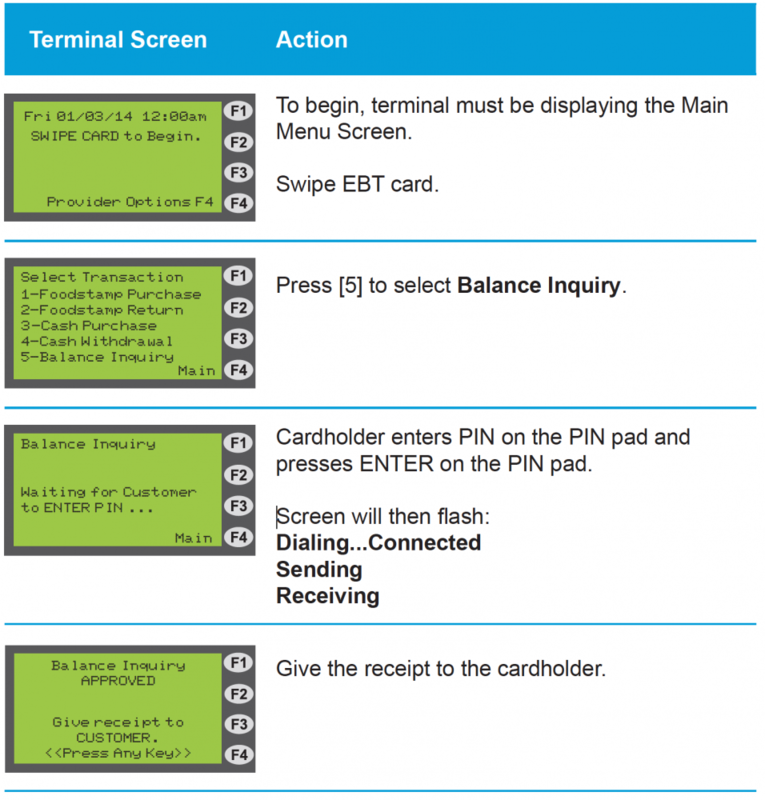 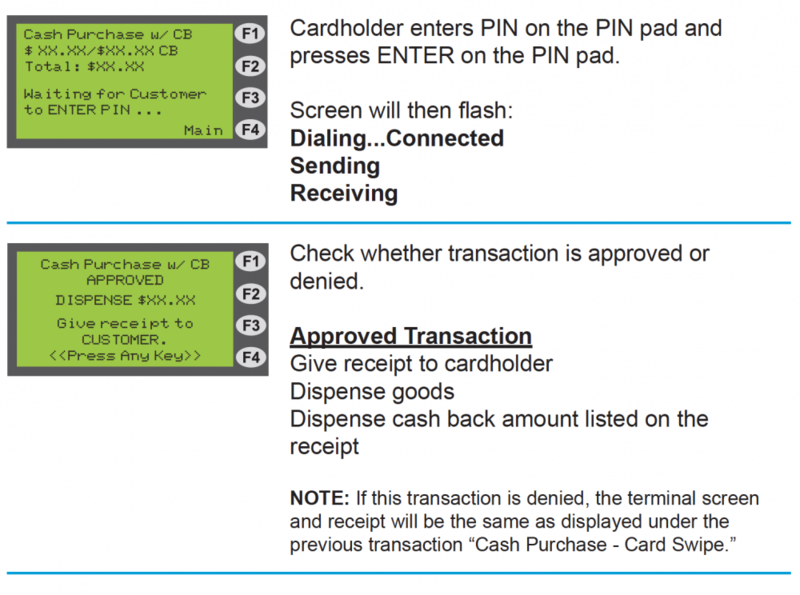 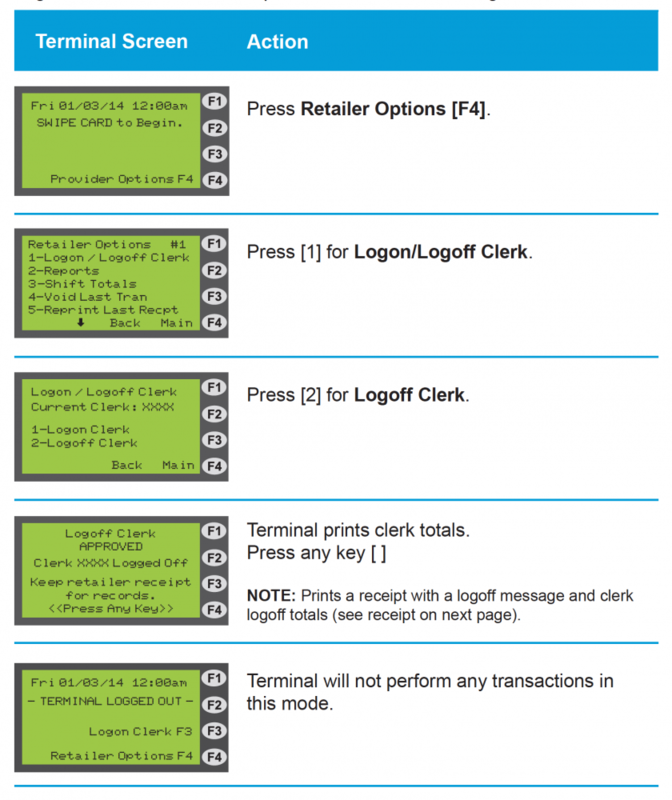 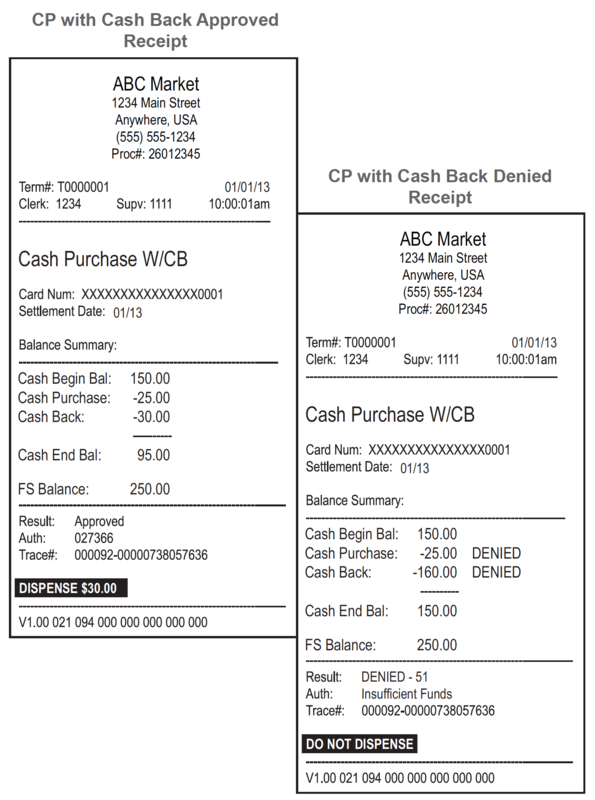 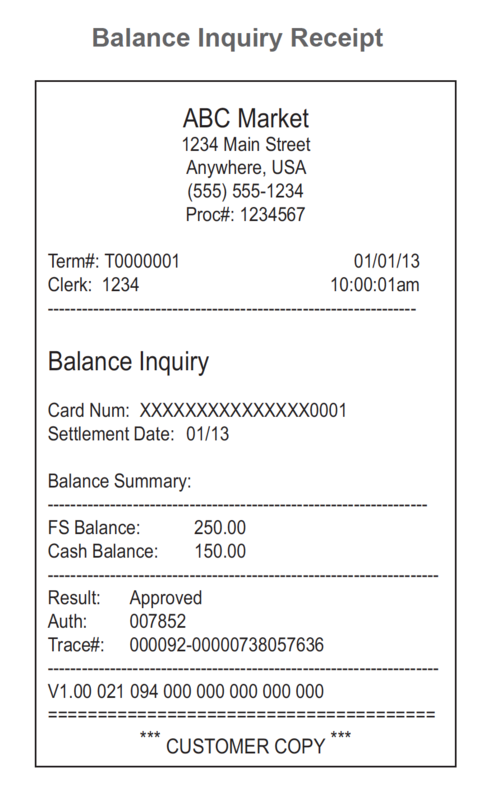 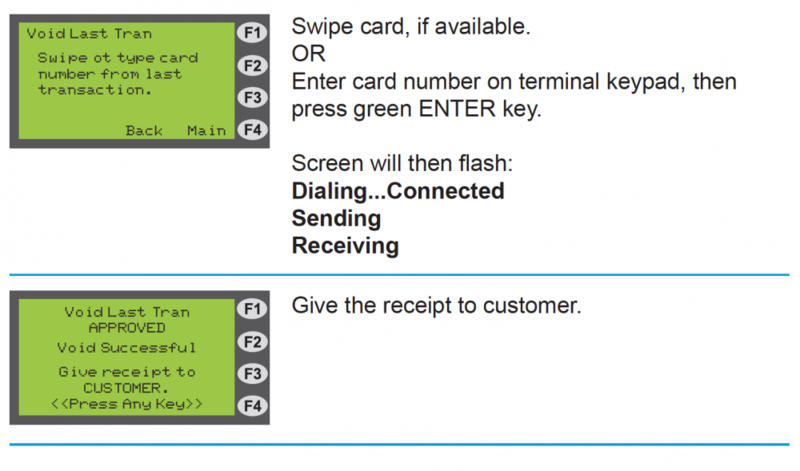 The POS device must be logged on to perform EBT transactions. 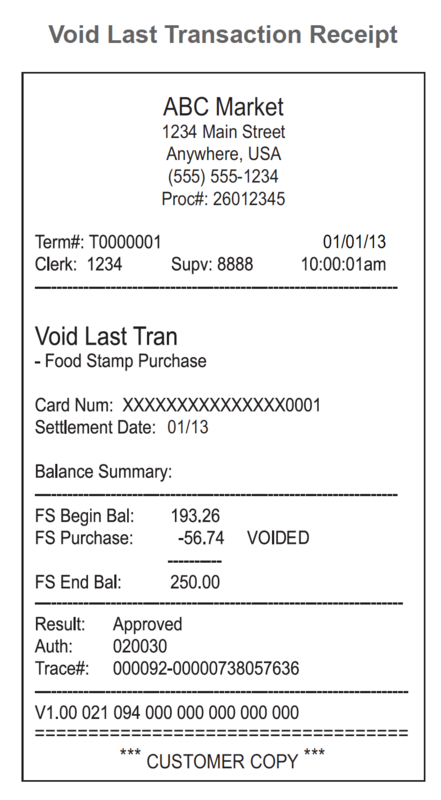 Logs the current clerk off and prints clerk’s totals since logon. 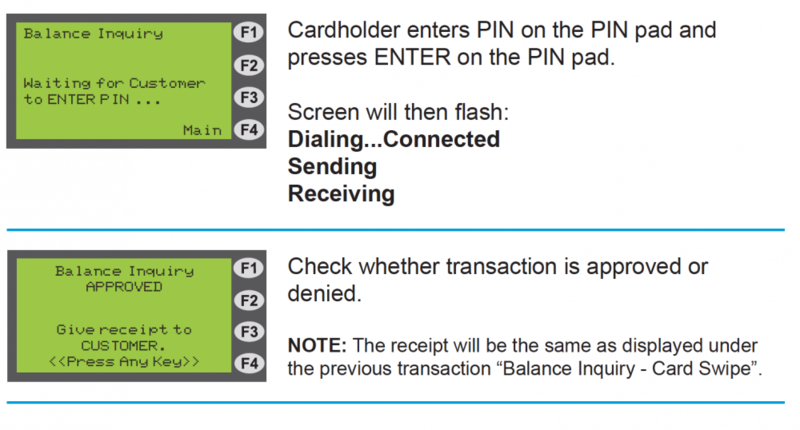 • The magnetic stripe on the cardholder’s card is damaged. 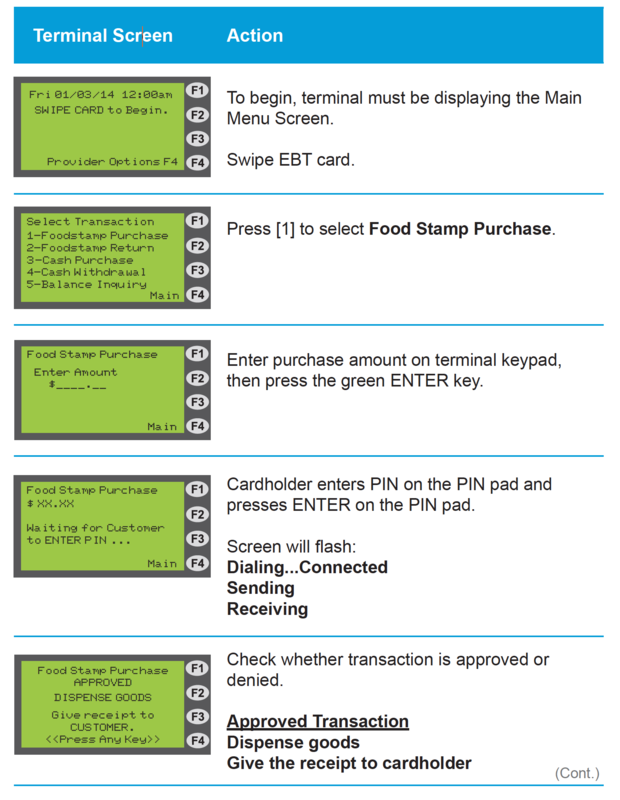 NOTE: The EBT cardholder’s card must be present for manual entry. 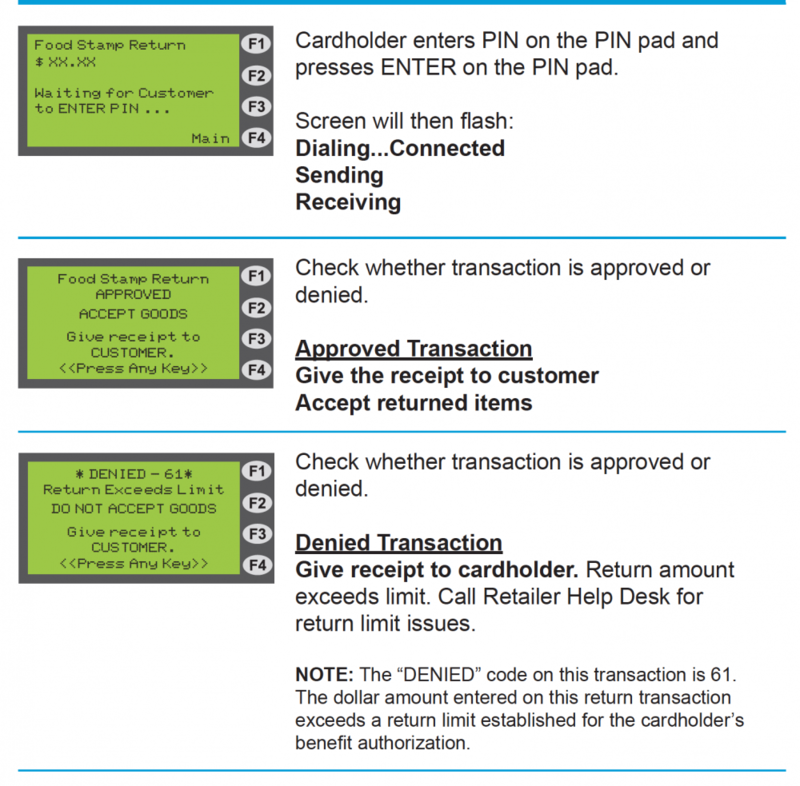 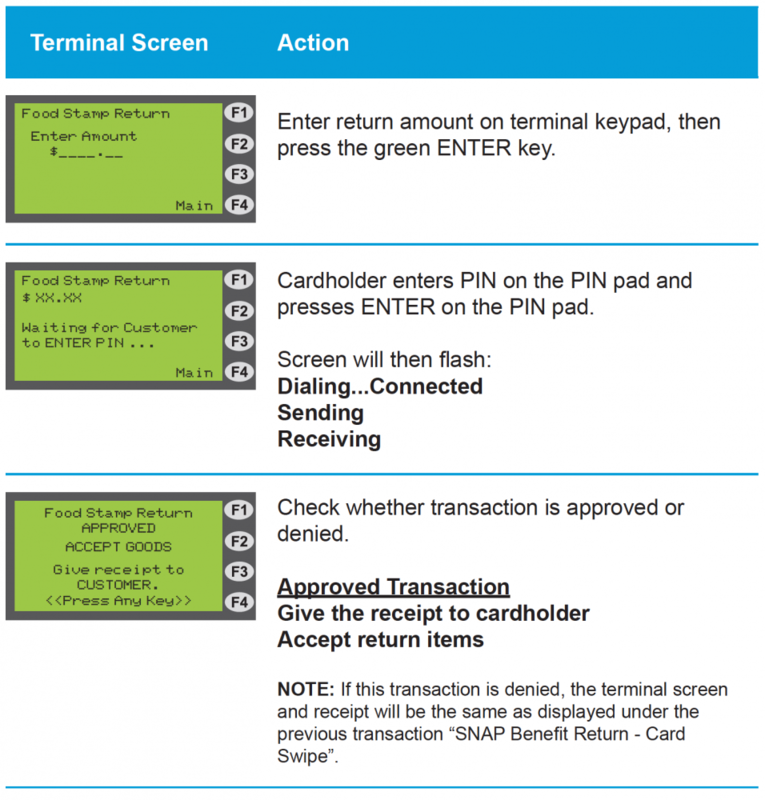 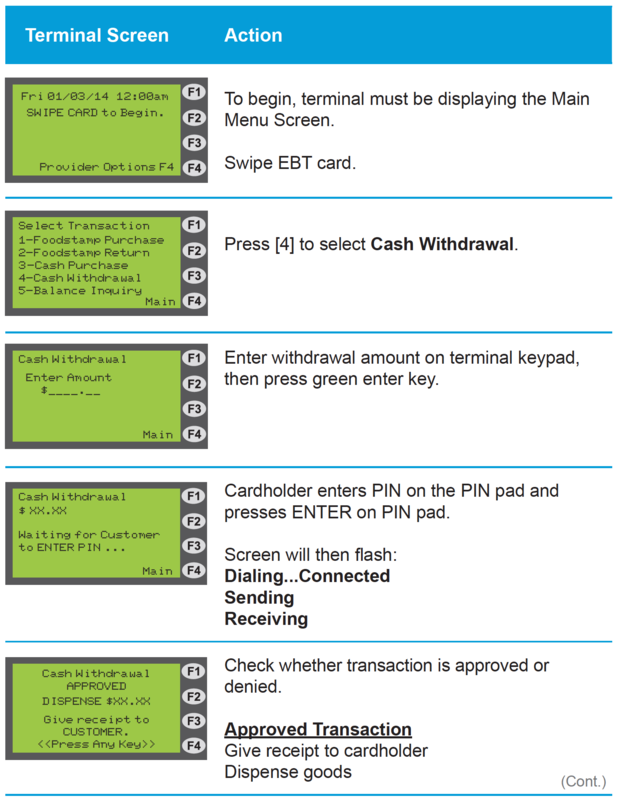 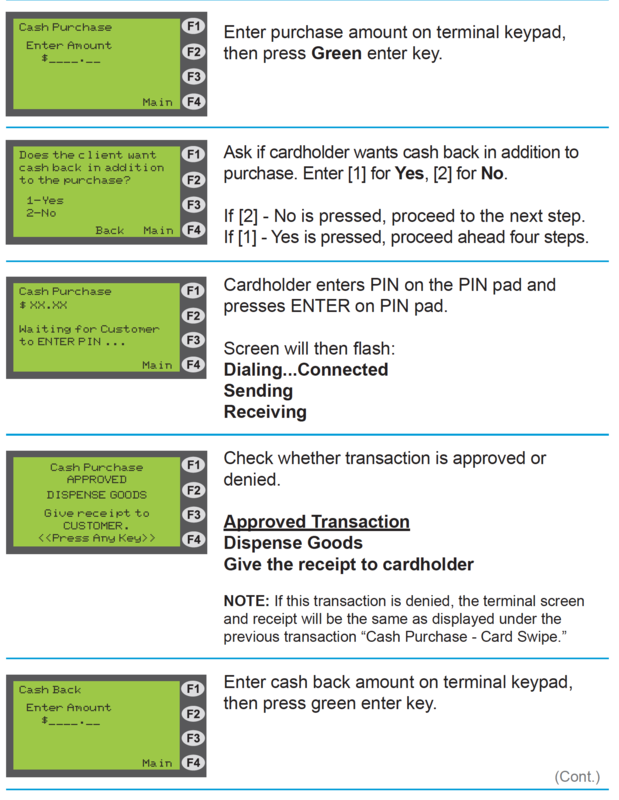 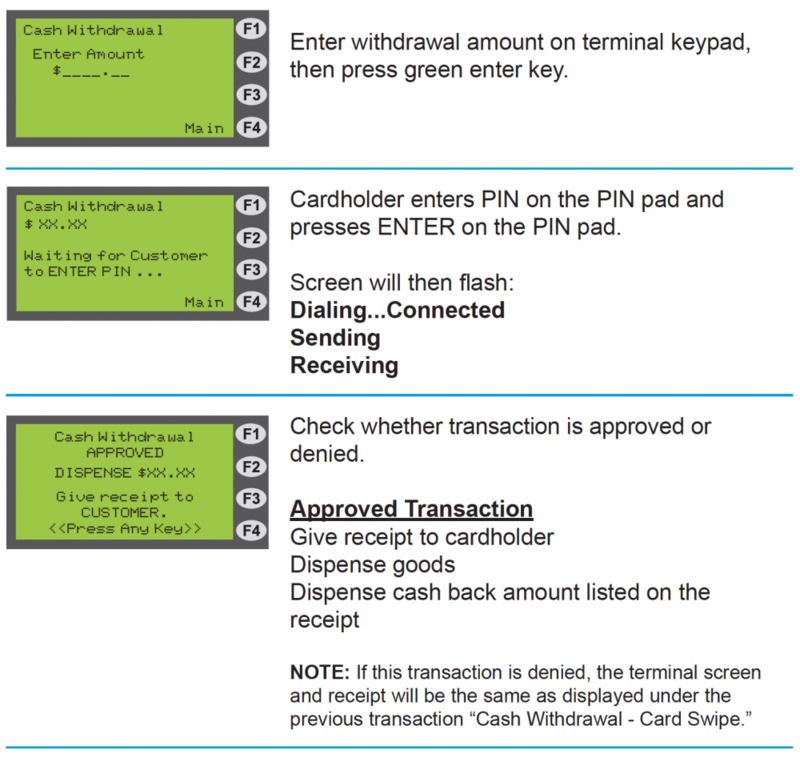 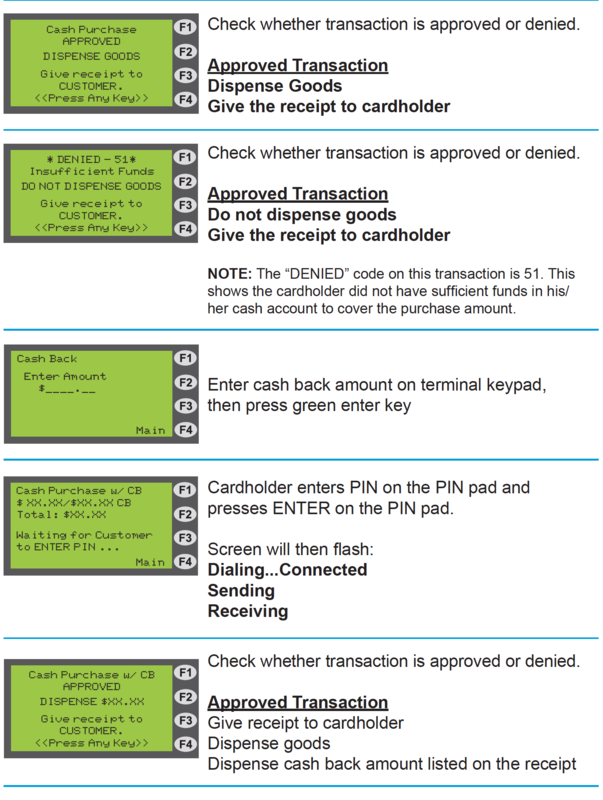 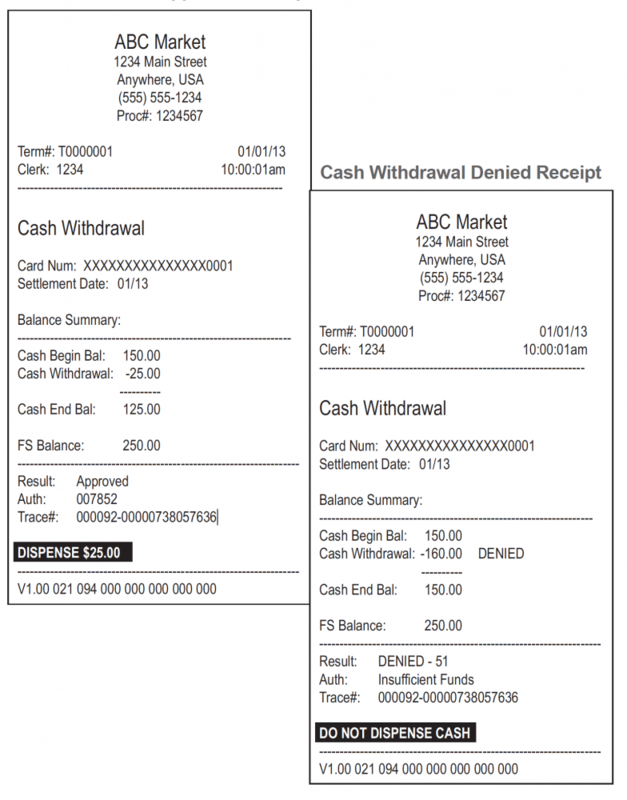 Allows an EBT cardholder to withdraw cash from his/her cash benefit account. 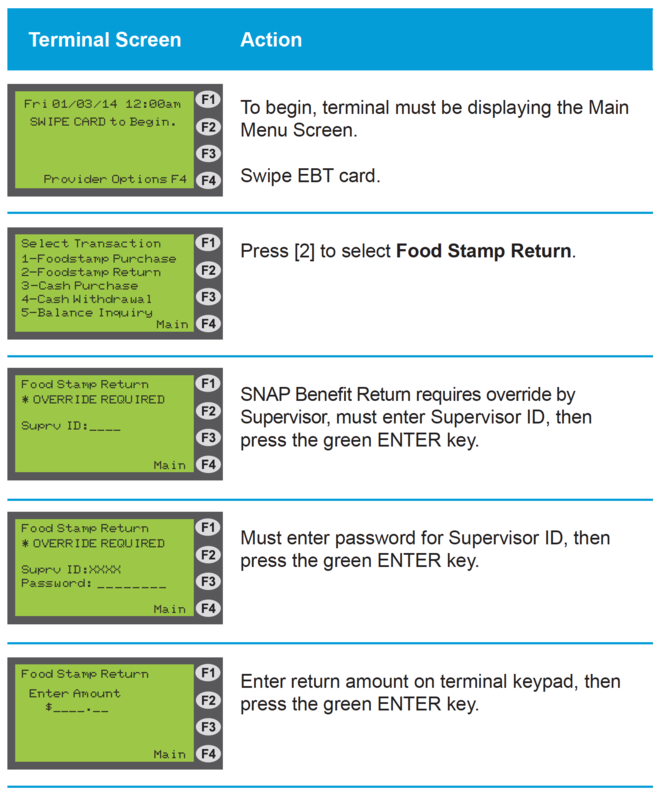 her SNAP and/or cash benefit account(s).